I love hearing the random topics that come out of my daughter’s mouth. Yesterday her Nana was over and they were having a conversation about cuckoo clocks. 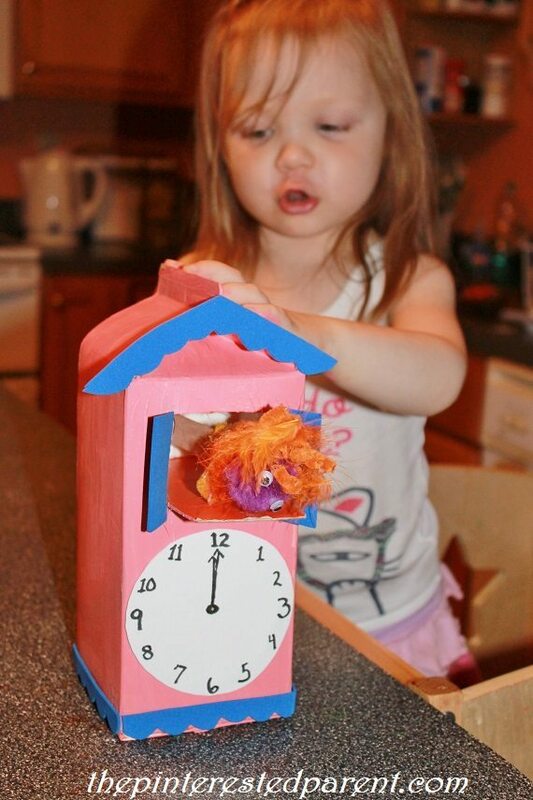 I did not even know that my daughter knew what a cuckoo clock was. 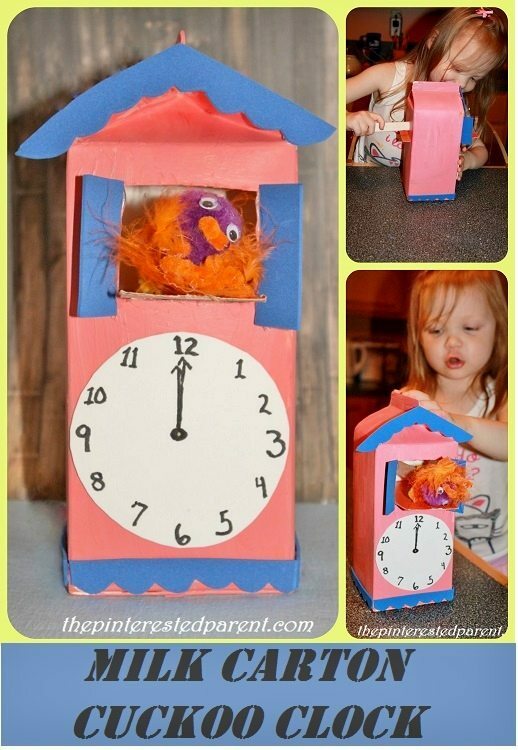 I am not sure how it began, but it set a light bulb off in my head & made me want to make a cuckoo clock craft. 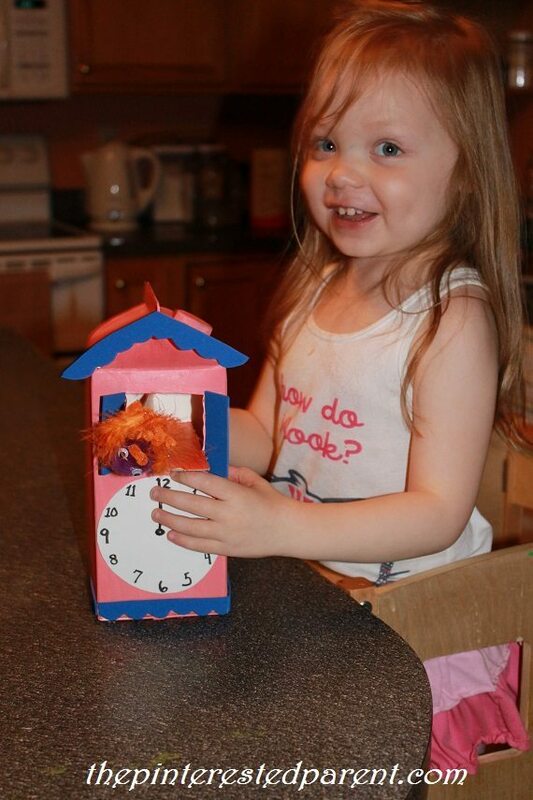 After her visit with Nana, I asked Mai if she wanted to make a cuckoo clock & her face lit up. “I will go get the pink paint.” I guess that is a yes. 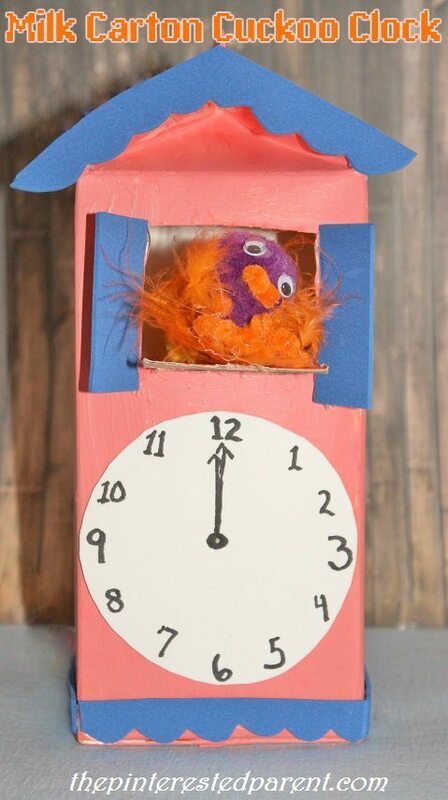 I wanted to make one with a cuckoo bird that she could move in and out of the clock. The end result was cute & fun. 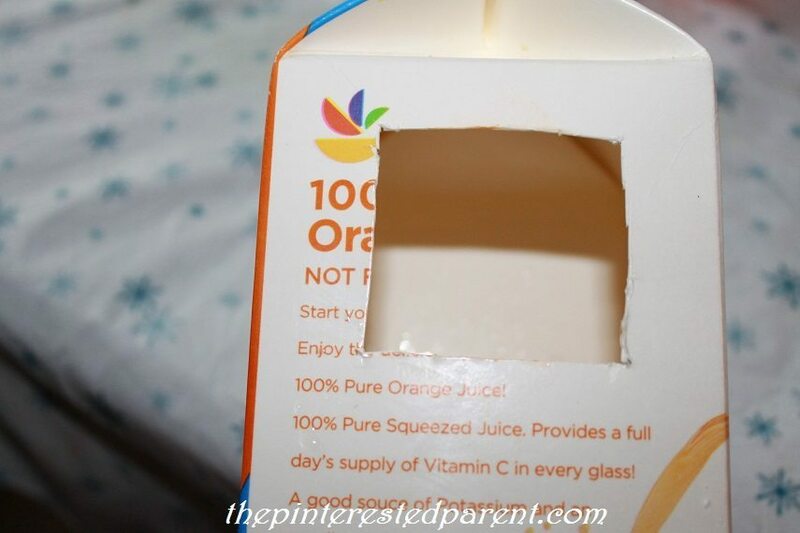 Rinse out a carton & let it dry. Cut a square out for the cuckoo’s window. Cut a horizontal slit in the back at the same height as the bottom of the window. 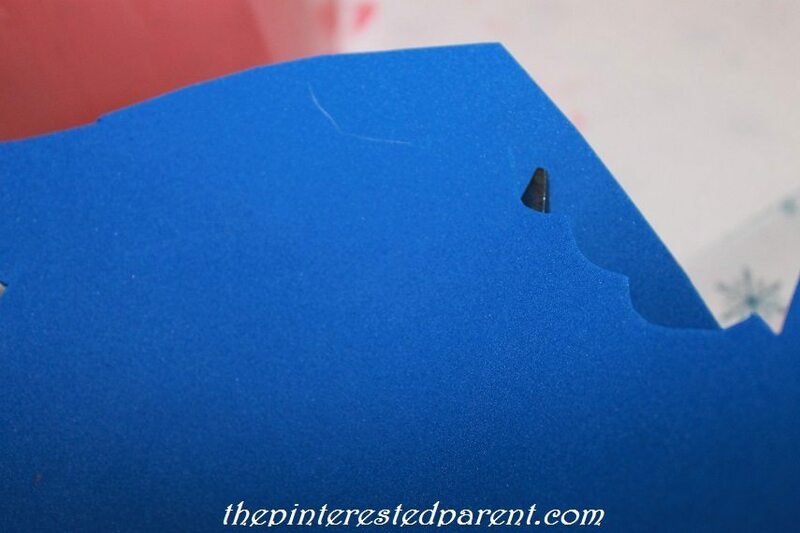 Cut a vertical slit about a 1/2″ above the other slit. 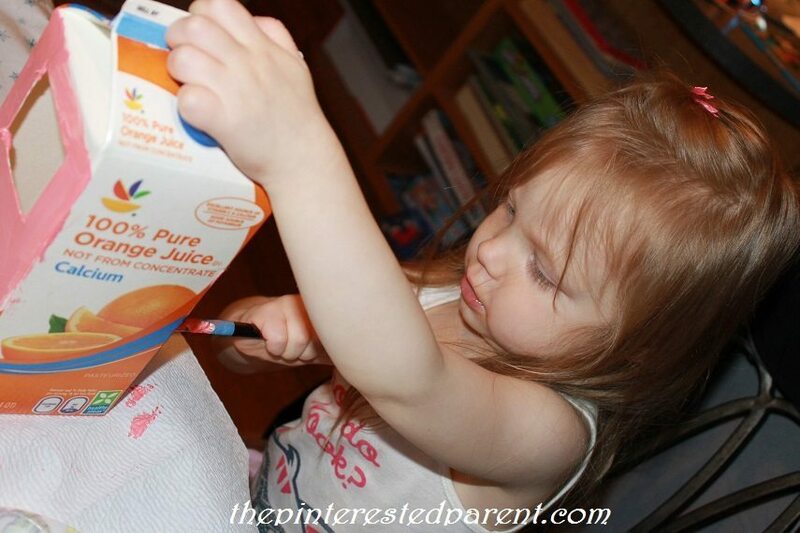 Paint the whole carton in the color of your choosing & let dry. As you probably guessed, we picked pink. Since my daughter was busy painting, I worked on the details for our clock. 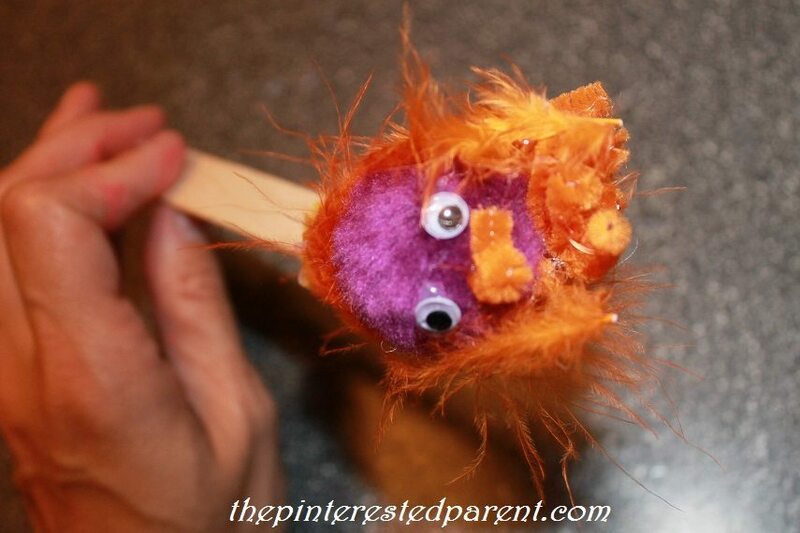 Form a bird out of a pom pom, feathers & pipe cleaners. Glue the cuckoo to the end of a craft stick. 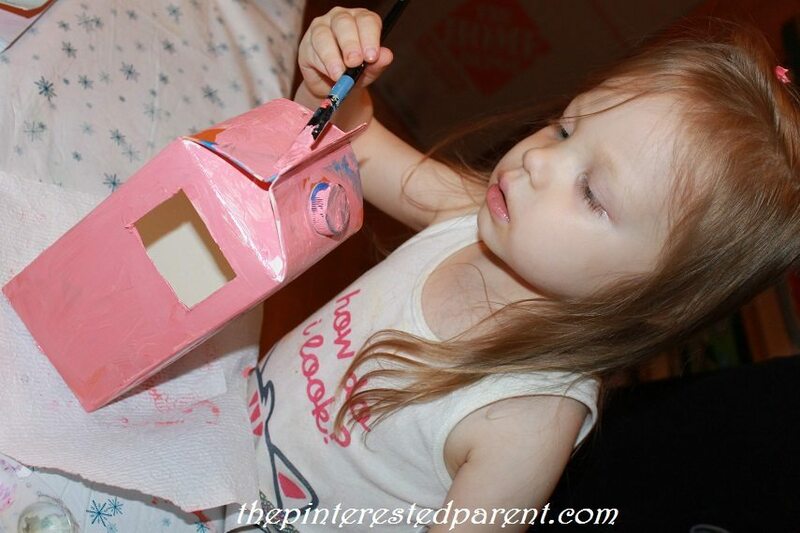 Cut the details such as the shutters & eaves of the roof out of foam or construction paper. We work with foam because it does not wrinkle or tear as easily. 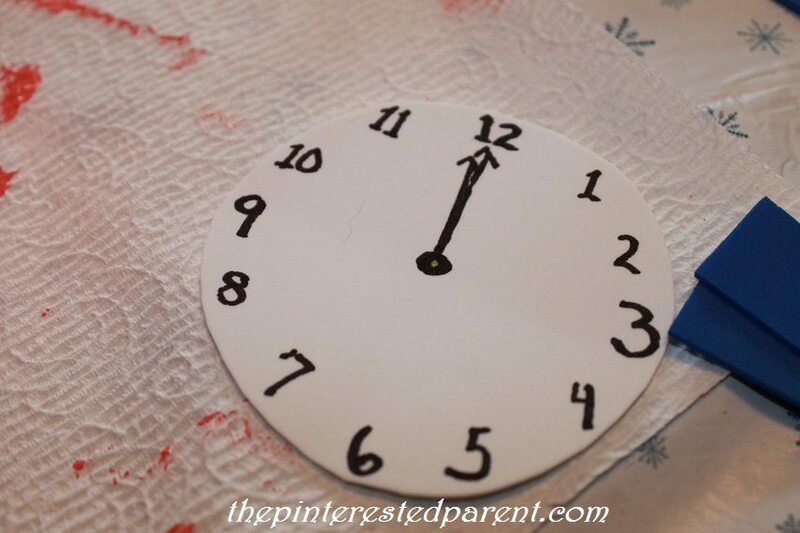 Cut a circle out & draw in the clock’s face. 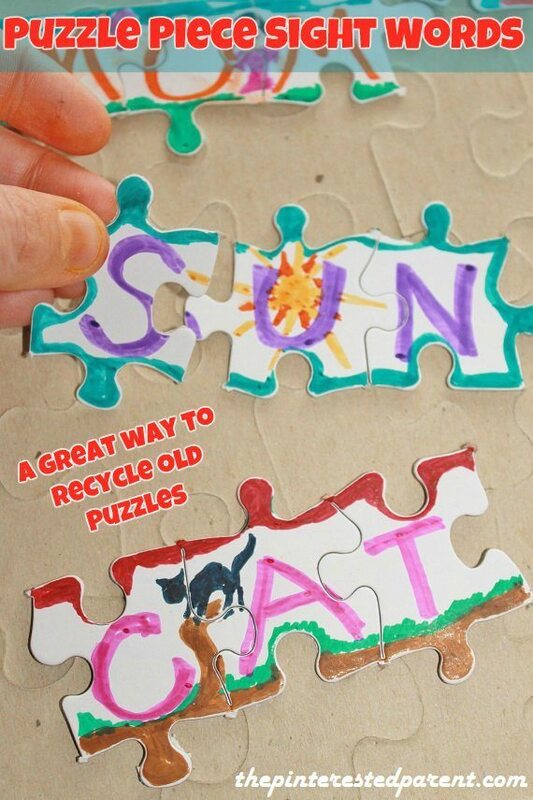 Glue all of your details in place. 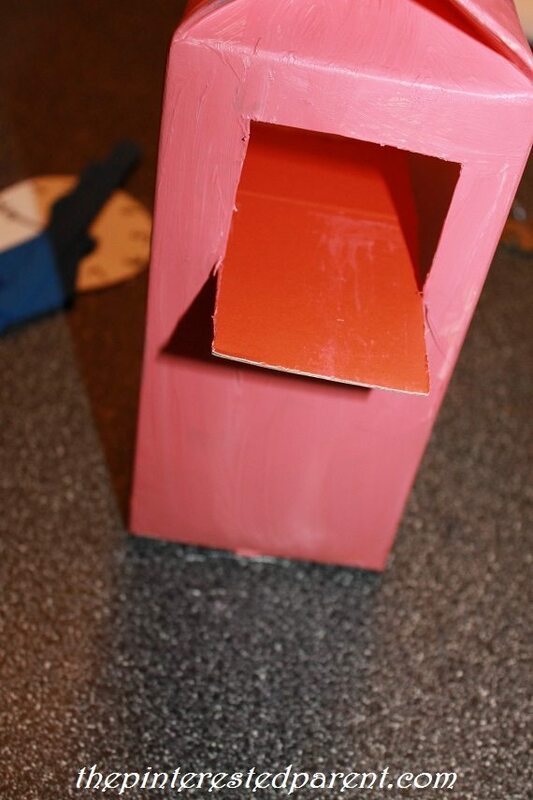 Cut out a piece of cardboard narrow enough to fit into the window & fit into the horizontal slit in the back. 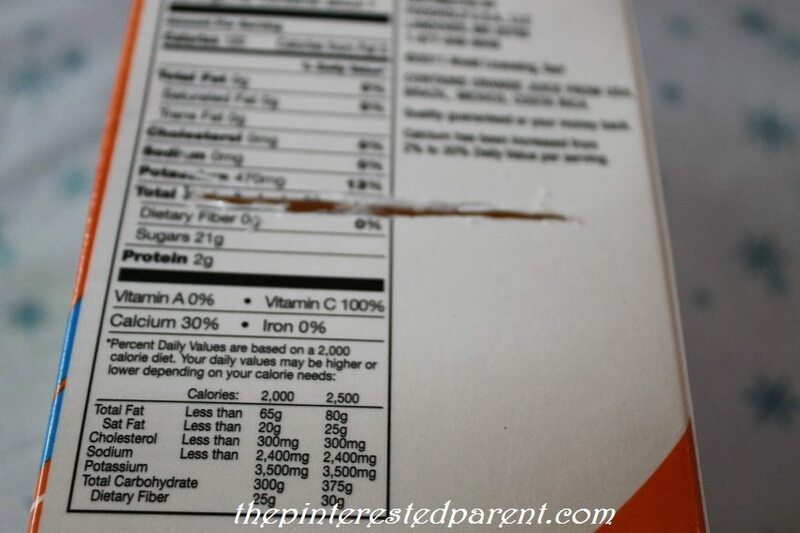 Have the cardboard extend out of the window about 1 1/2″. Glue into place. 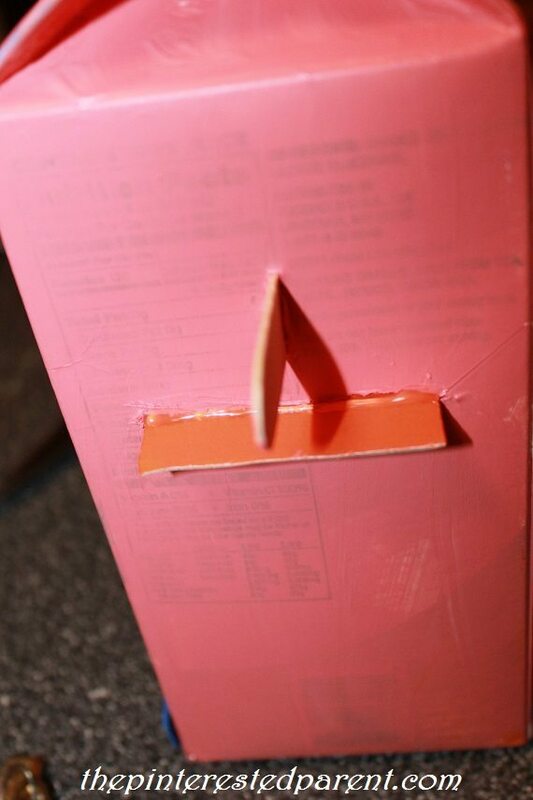 Stick the craft stick & bird into the carton with the stick poking out the vertical slit.